Below is an interactive map of the Hoxne Audio Trail. Click on the numbers for details of each stop. 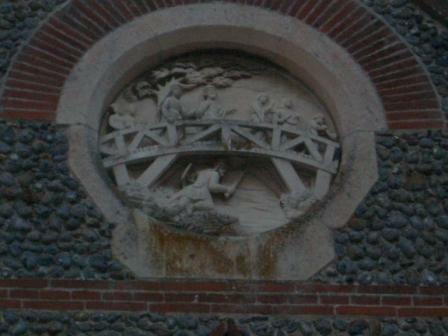 The plaque on the wall of St Edmund's Village Hall depicting the discovery of King Edmund under the Goldbrook Bridge.